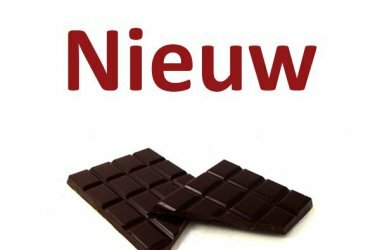 From now on you can rate all the chocolates in our webstore. It’s very easy and takes 10 seconds. 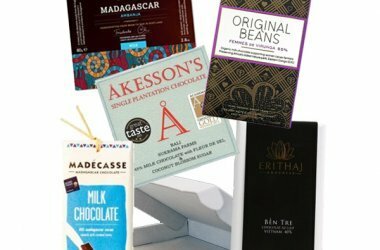 Fun to do, and helps other chocolate lovers in making their choice! And ofcourse, we as Chocoladeverkopers love reading it as well! We already get a lot (really a lot!) of feedback by email, and rating on our shop at Webwinkelkeur, which is great. Now it’s also possible to leave a rating and comments at each and every individual chocolate bar (and package). A feature that has already been requested a couple times so we are sure it’s gonna be used! 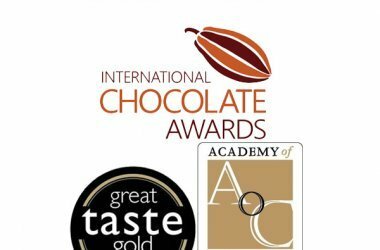 Won a medal at the International Chocolate Awards World Final in 2018. So, yes, one of the best in the world. You will also get a couple mini chocolates by Original Beans, Chocolatemakers & Friis Holm. We will inform the winners end of april, ofcourse we will also announce it in our newsletter. Give a rating of 1 tot 5 stars and a short comment. Or longer, that’s fine too ofcourse! 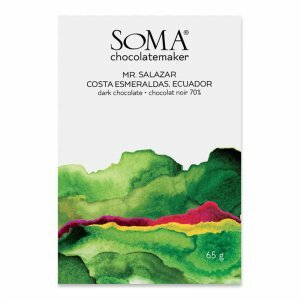 Every review made until 17 april 2019 has an automatic chance of winnning one of five of the fenomenal Soma chocoaltes with a couple mini’s. If you have a great experience with a particular bar, just kinda liked a certain chocolate or maybe you had a really bad experience…everything is very welcome! We just ask you to be honest, and especially with very positive or negative reviews, to leave a small explanation. Spam and obvious fake reviews will be removed. Do you have more general feedback? A chocolate you would love to see in our assortment? Some other advice? A question? Please do mail us! We look forward to reading your chocolate ratings and comments!